The Company page in Lattice gives you visibility into public information and offers transparency as to what others in the organization are working on. 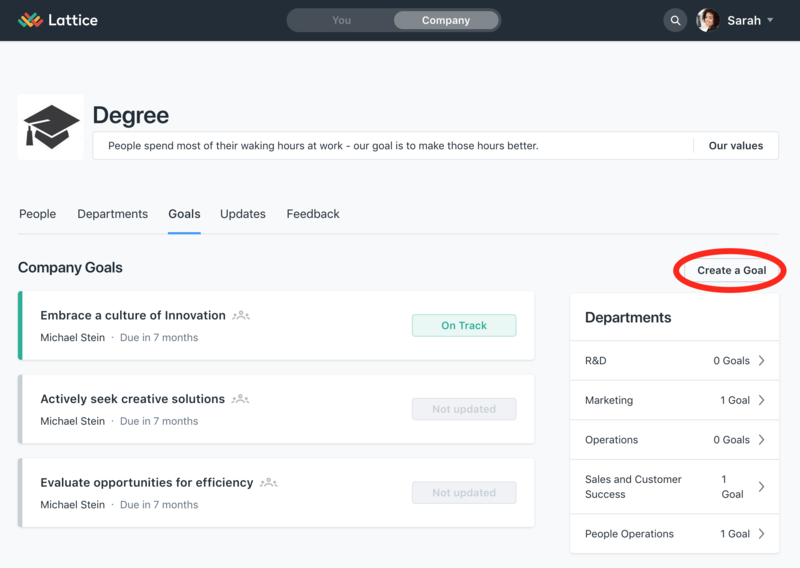 Under the "People" tab, you will see your company directory and your company org chart. Here, you can navigate to an employee's profile by clicking their name. Quick Tip: You can quickly give feedback, request feedback, or write a note by clicking the message icon next to an employee's name! 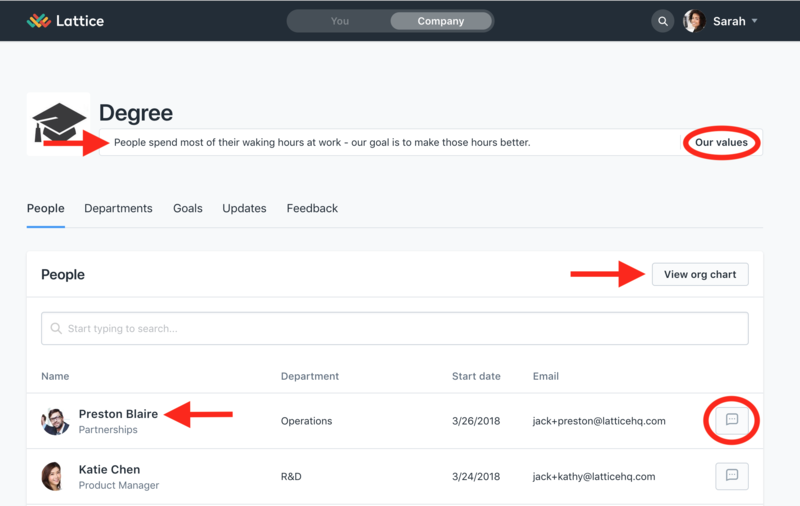 Under the "Departments" page, you can see each department in your company and the members within each. To view a department's overall goals, simply click on the department name! 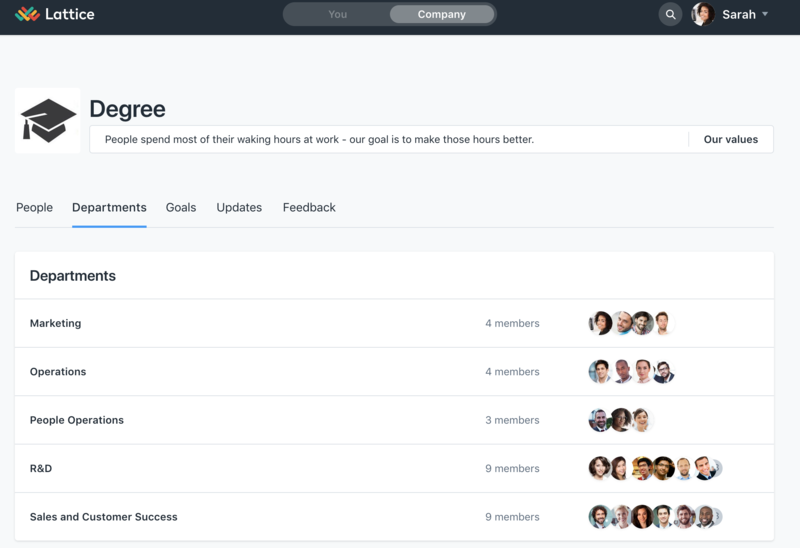 You can view overall company goals under the "Goals" tab. Here, you can also see how many goals each department is currently working on. By clicking on a department name, you can view these goals in detail. To make a new goal, select "Create a Goal" on the righthand side of the screen. Under the "Updates" tab, you will see a list of all public updates. You can also filter these updates by department. 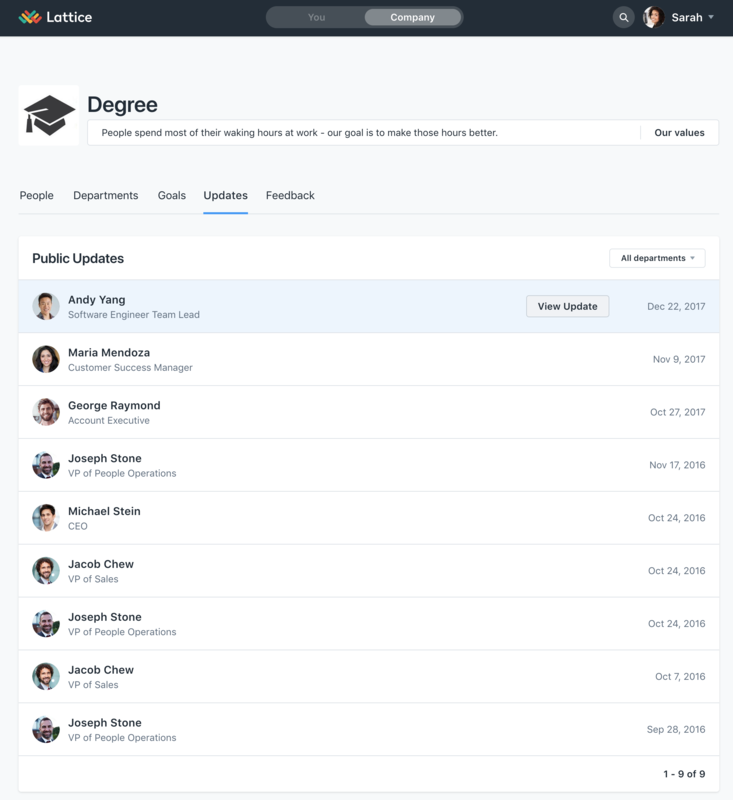 To view an employee update, simply hover over their name. A "View Update" box will appear that you can select. 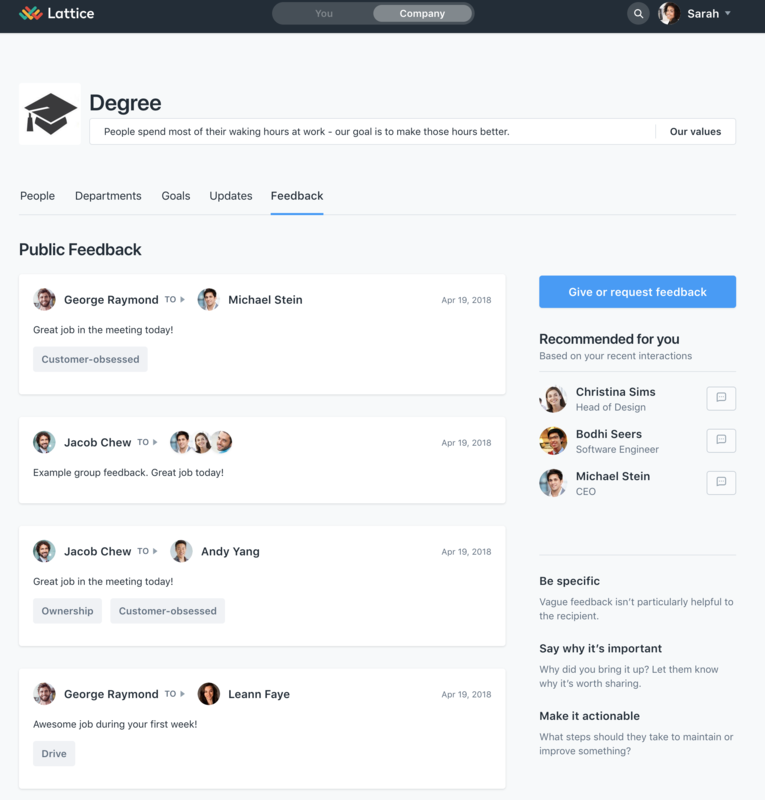 Under the "Feedback" tab, you will be able to view all public feedback given at your company. You will also be able to give or request feedback.